Mirage Resort is a three level property with three room preference choices. Our first floor is steps away from the infinity pool, these four spacious rooms feature wide windows and glass doors that will allow you to see all of nature from the comfort of the bedroom. 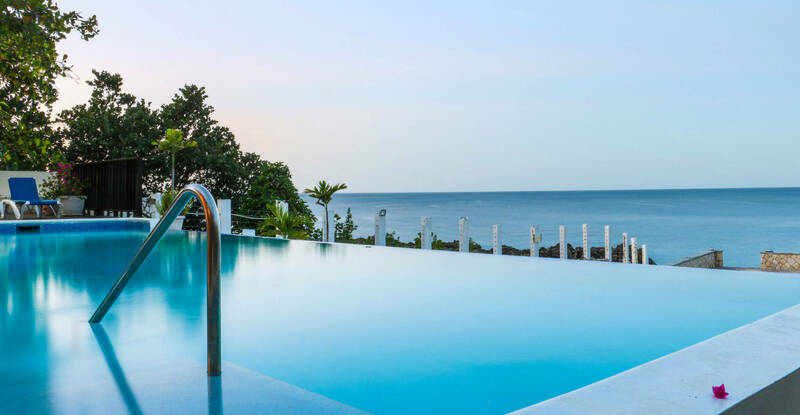 Whether it is to just sit on your balcony and enjoy a drink in the shade or grab a lounge chair and bask in the sunshine before diving into the pool. Our second floor offers a scenic view of the pristine blue waters of the Caribbean Sea. These rooms are slightly more spacious than those on the ground floor and also boast more upgraded bathrooms, two of these rooms also feature a wrap around balcony. Our third floor has a panoramic view of the Caribbean Sea and the infinity pool, these rooms are extra large, tastefully furnished. Sunsets and sunrise views from the balcony of these rooms are exquisite and a great way to open and close the day. 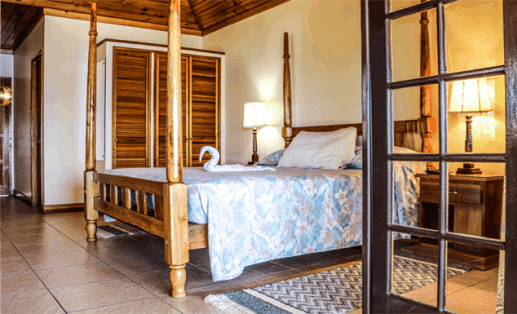 All rooms come fully equipped with a ceiling fan, A/C, cable television, refrigerator, coffee maker and a spacious bathroom. King and double beds are available. Free Wifi is also available throughout the entire property. Guests at Mirage Resort are also welcome to spend a day on Negril’s sparkling 7 – mile beach at our siter property, the Charela Inn Hotel. Towels and beach chairs included. 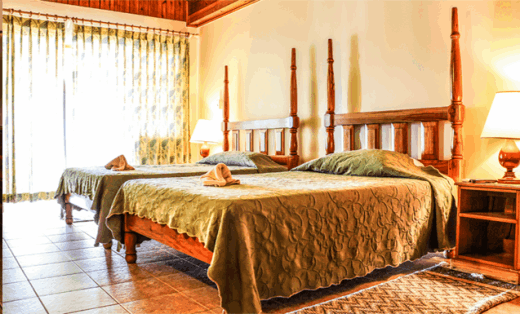 For any three day stay or more, a US$20 voucher per room will be given for use at the Charela Inn. The Cafe Au Lait Restaurant at Le Mirage is open for breakfast which we offer a complementary continental breafast for our guests. Cafe Au Lait also offers great burgers, pizza, a variety of salads and more for lunch! There are several bars and restaurants within close walking distance to make your stay complete. There is an additional 10% service Charge & 10% Gov. 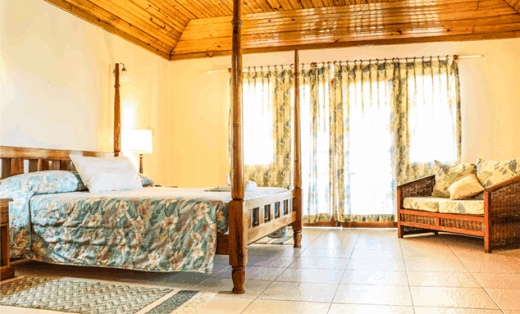 tax and room tax of US$1.00 per room night implemented by the Government of Jamaica will be applied upon client’s arrival at the hotel.. We offer a complementary continental breakfast.